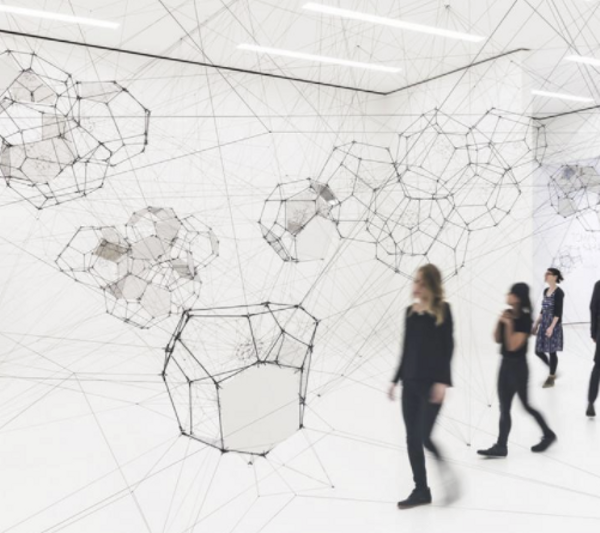 A visionary artist whose work combines science, technology, and art, Tomás Saraceno’s first solo exhibition in China, organized by Fosun Foundation Shanghai, brings together many of the artist’s most important and iconic works that embody his utopian view of the future. Born in Tucumán, Argentina, in 1973, Saraceno now lives and works in Berlin. His artistic method, bridges across the fields of art and science to create self-contained ecological spaces that link the natural environment with our social conditions. This exhibition concentrates on the space above the Earth’s surface, inviting viewers to travel together on an imagined journey from the micro- to the macrocosmic. The artist centers his explorations and constructions around the spaces above the surface of Earth, located in air, outside the realm of extant human habitations.